In the summer back in 1966, it was a common spectacle to see a black Rolls-Royce cruising along the streets of Almeria City, while pedestrians, without doubt thinking that this car could only contain a bishop, would cross themselves as it passed them by. Big Mistake! 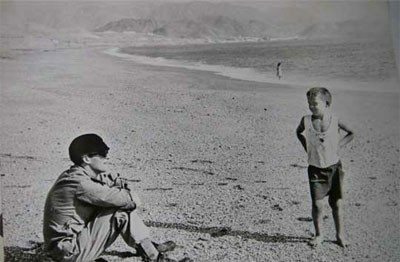 In fact, it was the irreverent John Lennon, the star of the film ‘How I won the war’, directed by Richard Lester, which at that time was being shot in the natural scenery of the nearby Natural Park of ‘Cabo de Gata’. 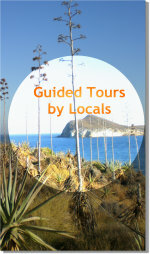 It is in Almeria, where he celebrated his 26th birthday, attended by Ringo Starr and it is here where Lennon wrote the first chords of 'Strawberry Fields Forever lyrics ' with an acoustic guitar on the bed in his room in the farmhouse Santa Isabel , a rare palatial residence on the outskirts of the city which had great views of the bay of Almeria. Cynthia Lennon, first wife of the founder of the Beatles, came to describe the farmhouse as " a house full of spirits" in her autobiography "A Twist of Lennon " (1980 ), a feeling that perhaps printed its esoteric touch to the song. "We went to Almería - Lennon said - and it took me six weeks to write the song . I did not stop writing throughout the movie shooting . I have the original tape somewhere, how it sounded before it became the song of psychedelic sounds it ended up being. " Weird huh? 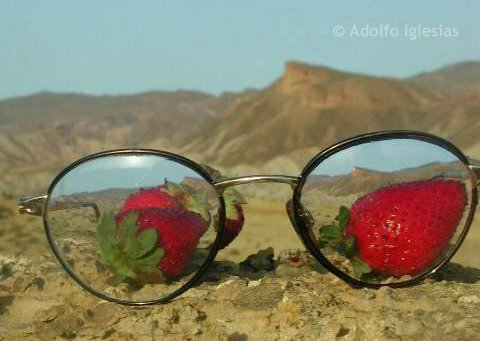 - John Lennon imagining himself strolling through fields of strawberries in the desert of Almeria…. Now, in remembrance, you will find him with his guitar sitting next to the Hotel Torreluz in Almeria City. 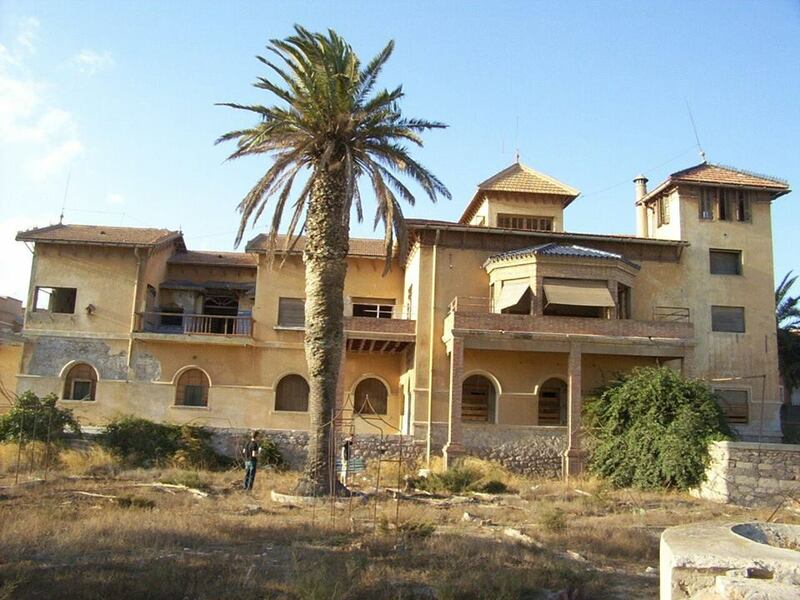 Several of the actors and directors, such as Sam Spiegel and David Lean, who filmed in Almería Province stayed at the so-called Casa Santa Isabel, formerly one of the most splendid villas of the capital Almeria from the mid-nineteenth century. As explained by Lennon himself in an interview with Rolling Stone magazine in 1968, it was when he arrived at Santa Isabel, surrounded by mystery with a large semi-abandoned garden, just like Liverpool, when the chorus came to his mind: "Let me take you down, 'cause I'm going to Strawberry Fields. Nothing is real and nothing to get hungabout"....."
Over the years, Santa Isabel was forgotten and abandoned. However, in 1999 a local journalist and Beatles fan, Adolfo Iglesias, after hard work of research, managed to discover the location of this mansion where Lennon had written the famous "Strawberry Fields Forever lyrics". 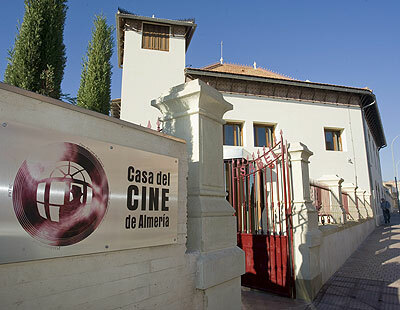 Finally, the Almeria City Council converted the building into a Cinema Museum. Today the house looks at its best and boasts a fantastic garden. 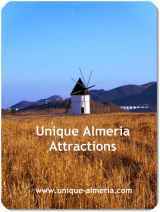 Inside, one may learn some part of Almeria's film history and of course there is the room where Lennon composed his song, manuscripts, photography and much more. Cinema Museum - "Santa Isabel"
Afternoons: from 17:30h to 21:00h. 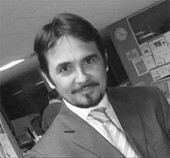 Adolfo Iglesias Javier Hernandez is a local teacher and journalist, working as an editor at La Voz de Almería, where he has been responsible for the cultural section . For years, he has been a film critic for the local Radio station Cadena SER too and has made three video documentaries. He was born in Almería in 1966 , shortly after John Lennon left the city. That must have marked him because his passion for the Beatles began as a child. 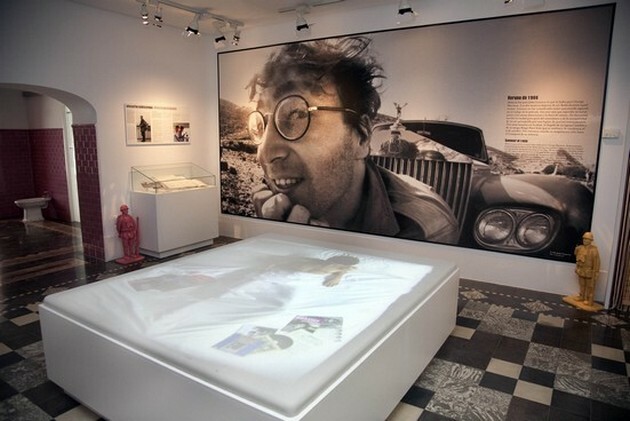 In 1996 , he began to investigate the food prints John Lennon left in his home city. 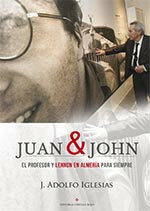 In his latest book "Juan & John", Adolfo Iglesias reveals the story of the English teacher, Juan Carrion, a native from Cartagena and his friendship with John Lennon during the sixties. Carrión was using Beatles songs during his English classes, as he considered them "a very important source of vocabulary". 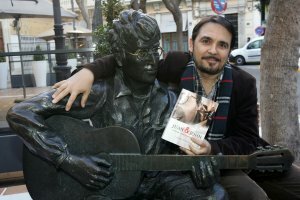 When meeting John Lennon in Almeria, Carrión proposed him to include the lyrics on the Beatle covers. This must have seemed a good idea to Lennon, since he agreed to implement it upon his return to London, where he gave the corresponding instructions. 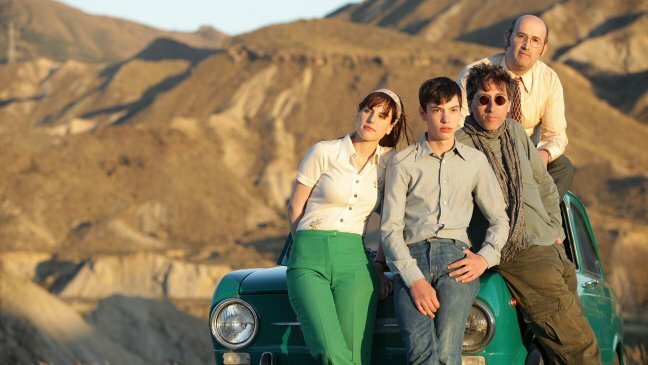 David Trueba’s recent film "Living is easy with Eyes closed" is based on the above book and Adolfo Iglesias' research, telling the true story of an English teacher who motivated his students using Beatles music, and of course the film location is Almeria. It was the big winner at the 28th Goya Awards ceremony, landing the Spanish Film Academy’s two top prizes: best film and best director .